On the picture in the Kan Extension as Adjunction section, should ‘(Ran_K I) D’ be ‘Ran_K D’ (i.e. no I)? Oops, you’re right. I guess I conflated two pictures in one. I’ll fix it. last line, the type of g is a->b, bi is b->i, should it be g . bi? bi . g is correct (I usually run my code through the compiler, just in case). Composition is read bi “after” g, which means the output of g becomes the input of bi. Our study group finally got to this chapter. After some puzzling over, I am of the opinion that newtype FreeF f a = FreeF (forall i. 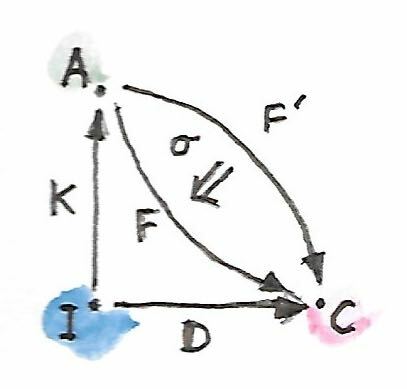 (a -> i) -> f i) is not actually a free functor. 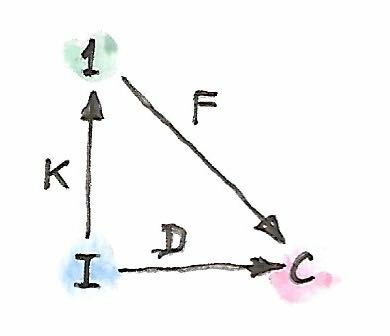 It is a functor, yes, but only if f is already a functor. 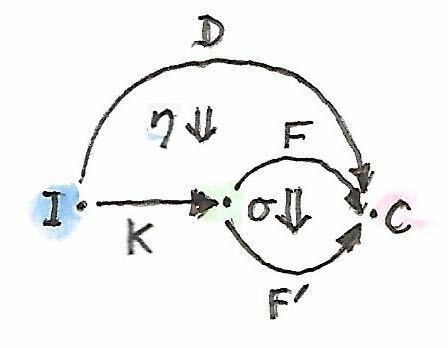 This construction does not allow us to make a functor out of an arbitrary, non-functor type constructor f. So, it is not a free functor in the sense of making a functor out of a non-functor. 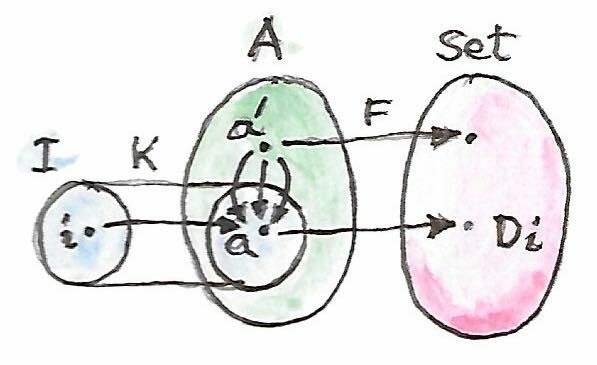 It is also, most likely, not a free functor in the categorical sense (the limit of the appropriate diagram), because the limit would be unique, and we already have a free functor (from the left Kan extension) which, indeed, provides a way of constructing a functor out of an arbitrary f.
So, for these reasons, I think that it is not correct to call the above construction a free functor. What do you mean “f is already a functor”? Do you have a counter-example of a type constructor that cannot be made into a functor? Perhaps I should say “already an endofunctor” to be precise, instead of “already a functor”. 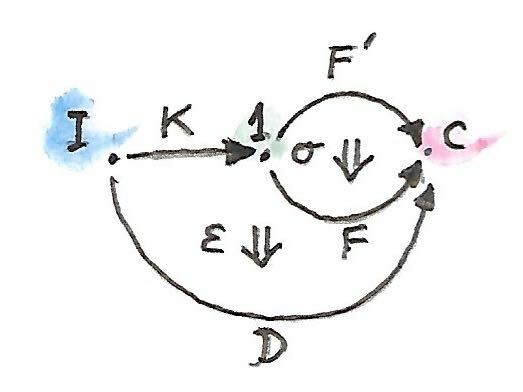 As an example, one could take a contrafunctor f.
“An interesting application of Kan extensions is the construction of a free functor. It’s the solution to the following practical problem: suppose you have a type constructor — that is a mapping of objects. Is it possible to define a functor based on this type constructor? In other words, can we define a mapping of morphisms that would extend this type constructor to a full-blown endofunctor? So, clearly, you start with a type constructor f which is not itself an endofunctor, and you want to wrap it into something, called a “free functor construction”, so that the result is a “full-blown endofunctor” as you say. 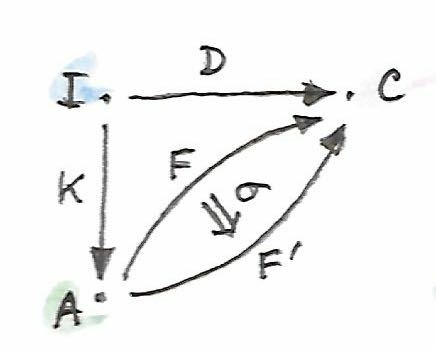 Then you give two constructions that you call the “Free functor”: the left Kan and the right Kan extensions. 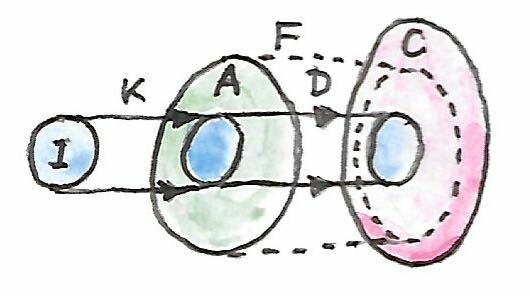 The left Kan extension is indeed a construction that takes a non-endofunctor f and wraps it into stuff that makes the result an endofunctor. The right Kan extension is not such a construction, as I explained. 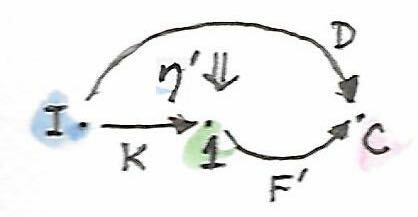 My intuition tells me that the right Kan extension as shown, newtype FreeF f a = FreeF (forall i. (a -> i) -> f i), is actually co-free rather than free. Not sure what the practical use of that construction is. Let’s talk about the Haskell implementation. It implements fmap for a type constructor f. There is no prior assumption that f is a functor. the implementation of fmap does not use any properties of f. However, my question is – can we construct a value of type FreeF f a given a value of type f a? I claim that we cannot. The type constructor g has a type parameter a but we can only ever inhabit the type g Int, not g i for any other i. So, clearly it is impossible to produce a function of type (a -> i) -> g i unless i = Int. So, for this reason, we are unable to create any values of type FreeF g a at all. The type FreeF g a is uninhabitable. Am I missing something? Okay, I understand your problem now. First, let’s clarify some things. 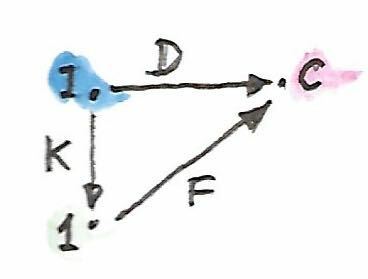 A functor is always defined over the whole domain. What you say about uninhabited values just means that some objects are mapped to the empty set (which is a legitimate object in Set). 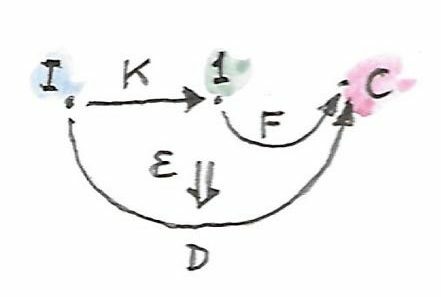 The problem you are pointing out is that a Kan extension produces a new functor, which is not necessarily equal to the original functor when acting on objects. This is true. In particular, the right Kan extension is very stingy. 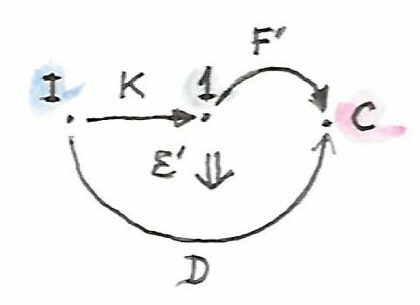 It tries to produce a minimal functor satisfying a given constraint. The left Kan extension is generous. It tries to add everything that does not break the given constraint. 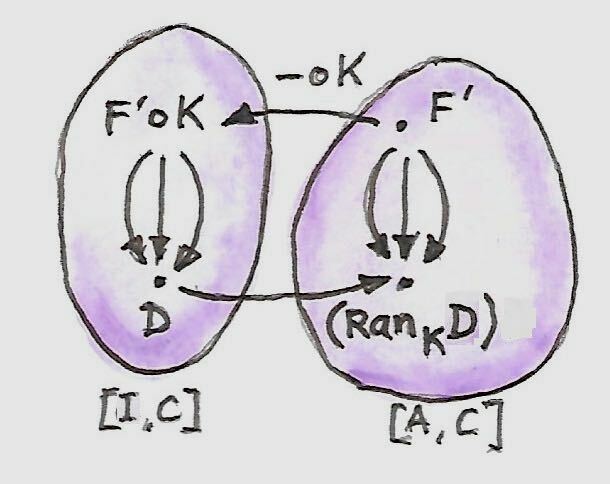 and I want to compute explicitly the functor R that is right adjoint to L, and check that a natural transformation exists, 𝜀 ∷ 𝐿 ∘ 𝑅 → 𝐼. Now I want to see the natural transformation L(R a) -> a. Either Int (Either Int () -> a) -> a. 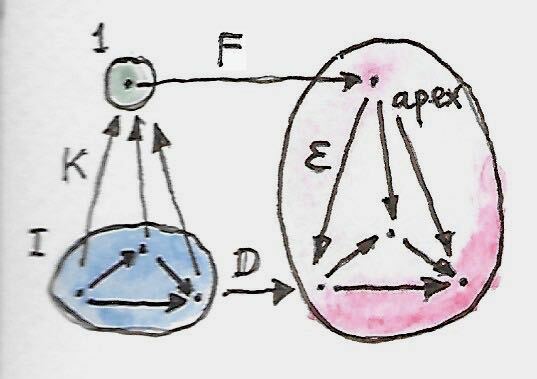 It is clear that this natural transformation cannot exist, because L(…) could be just a Left Int with no a anywhere. So R is not right adjoint to L, contradicting what your text says about how to compute adjoints using Kan extensions. Where is the error? 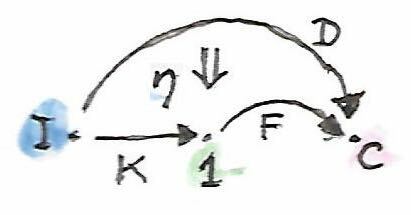 If you go back to the right Kan extension, you’ll notice one more condition: the functor must commute with its Kan extension. The same condition applies to the left Kan extension for it to be the right adjoint.